AVAILABLE ON REQUEST ONLY. EXCLUSIVELY ON VERY LTD CD PRESSING. Contact info@cosmicelementsmusic.com Hailing from downtown New York, Dissident is no stranger to the smooth jazz scene having worked with the likes of Quincy Jones and Miles Davis over the last couple of decades. 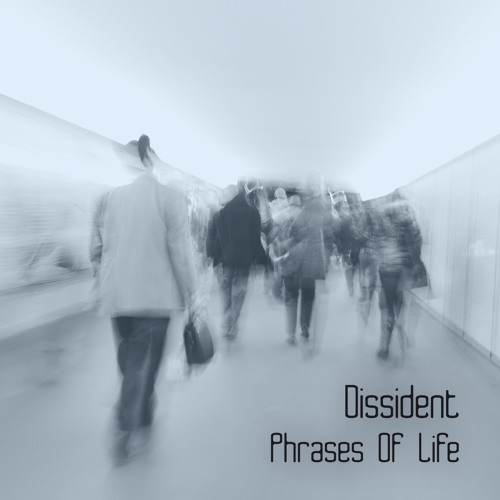 Their first album under their new alias, entitled ‘Phrases Of Life’ comprises thirteen smooth and laidback jazz grooves laden with fender rhodes chords, horns and soft vocals. Without wanting to waffle in great length about each track, after listening to the album it will be clear to see the quality, experience and love that has gone into producing some fantastic pieces of music. With a prolific production rate, years of experience at the top of the industry and an eye for quality, Dissident is most definitely a name to watch out for.